I’m sitting backstage as he comes walking in with a few of his buddies, says hello to everyone then sees me and says, “Hi, George! 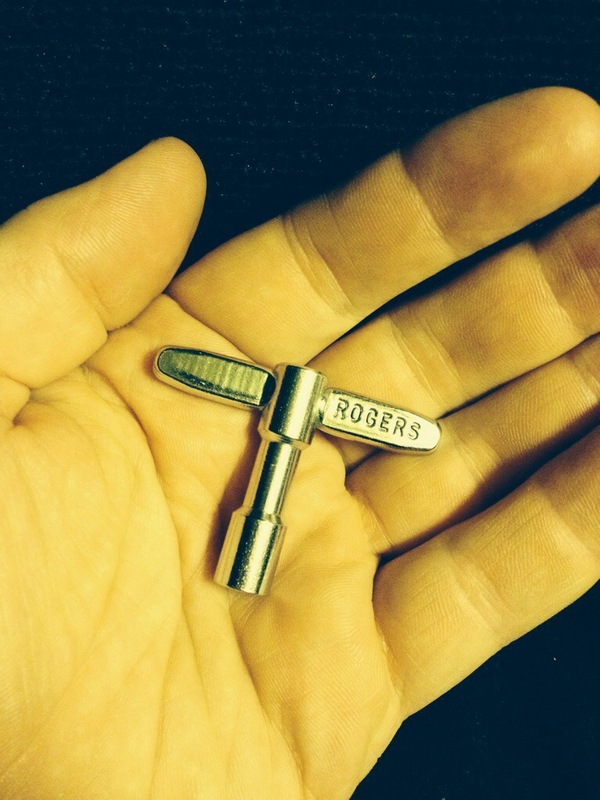 I brought you a present!” He reaches into his pocket and pulls out a vintage Rogers drum key. I was completely floored. Bun E is one of the sweetest cats, ever. 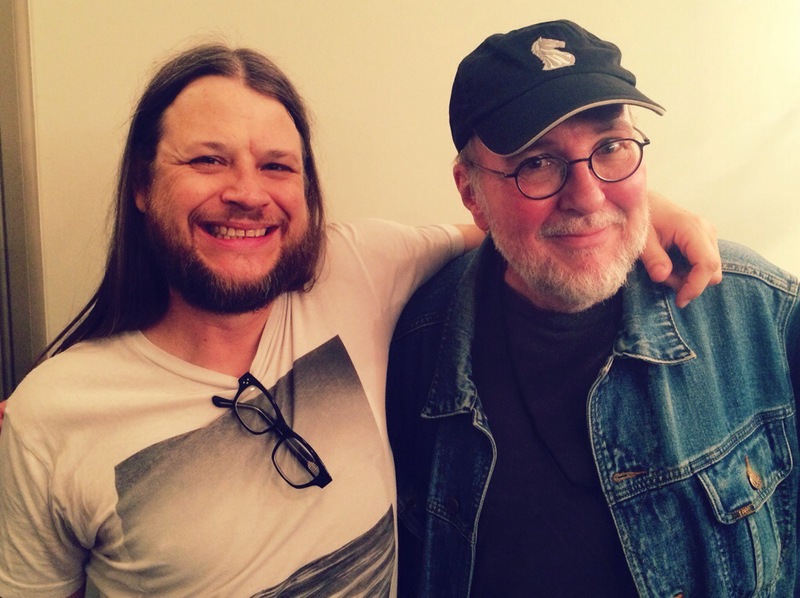 He and our tour manager Brian have been friends for years, so I had an idea he might show up tonight here in Milwaukee but I surely wasn’t counting on it cause I think he lives more than an hour from here. Anyway, he was having fun and stayed for the entire show and was a total gentleman. Hanging out with us backstage, he was kind and very complimentary of the band and of my playing. I couldn’t believe it. Having seen us two years ago, he seemed very excited about the sound of the band as it is right now. What a guy! Many thanks to Neal Casal for snapping this great pic of us. Previous postHow Do They Get All This Stuff?